M. H. Mandelbaum Orthotic & Prosthetic Services, Inc. is proud to be a part of our clients lives, helping them achieve their goals and fulfill their dreams. 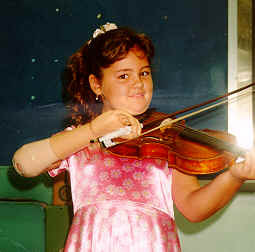 Violin playing for Oriana utilizing her myoelectric prosthesis. 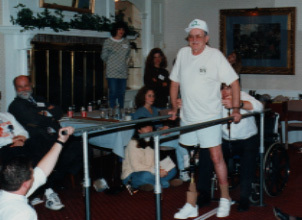 Dave demonstrates his gait with his above knee prostheses during one of our educational in-services. 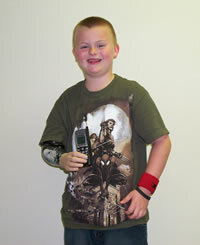 Cliff is excited about his new myoelectric arm. 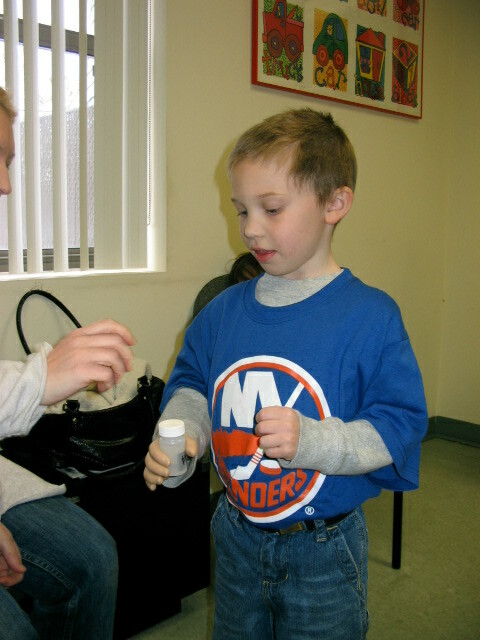 Tommy awaits his new ankle foot orthoses. My name is Molly, I am 9 1/2 years old and I have been wearing the brace since April. When I first found out I needed to wear a brace I was so scared. Then we found out about the SpineCor brace. No one can believe I have a brace on until I show them. I play basketball, ride my bike and can do just about everything except swim with it on. I wear it to school and to sleep, and it doesn’t bother me at all (My mom can’t believe it, she says the seam on my socks used to bug me!) 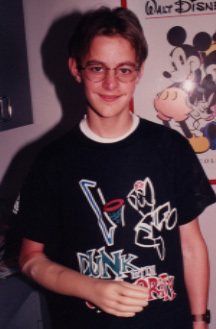 I stand so straight and my Dr. says I am doing wonderfully. with skull and black background design.